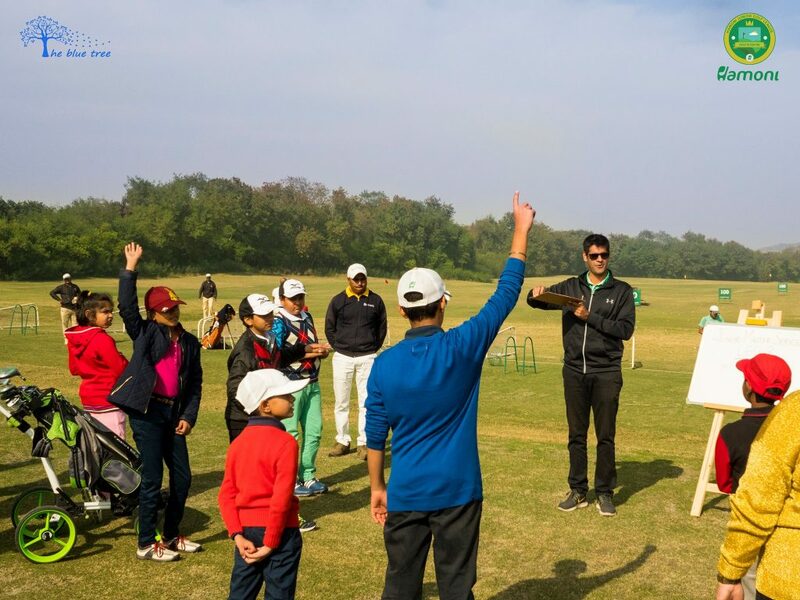 On the 26th of March ’19, Barmalt Malting as part of their CSR Sports Initiative organised ‘Junior Short Game Master Class by Faisal Qureshi’ at HGC for all junior golfers aged 6 – 18, based in and around Gurgaon. 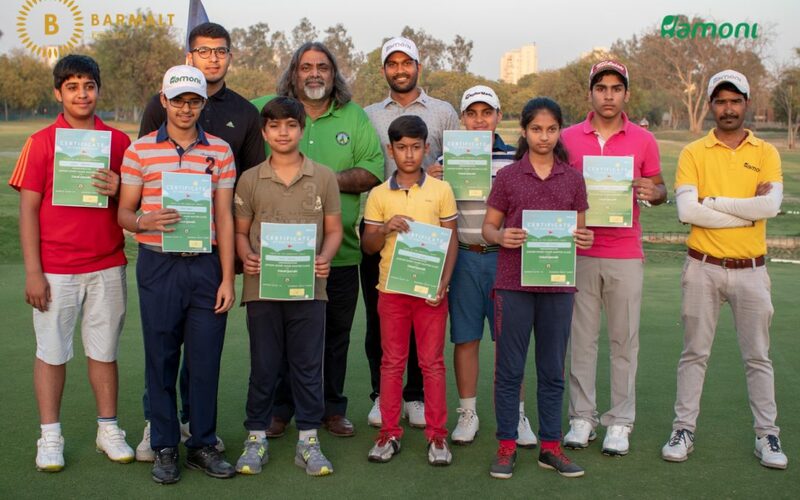 It was a 60 mins short game master class comprising of tips, tricks and some healthy competition between the participants carefully framed by the Short Game Guru & Co-Founder of Little Master Junior Golf Tour – Mr.Faisal. 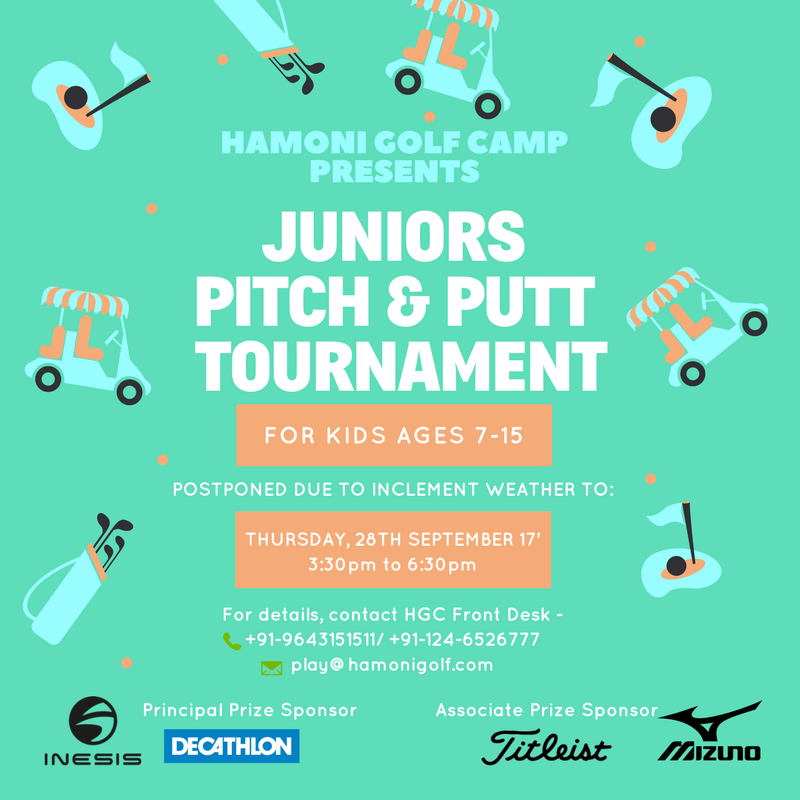 Juniors Pitch & Putt Tournament Vol II of the Hamoni Junior Golf League flags off as a pre-series to our major – Tricity Series and also as the first tournament of 2018. 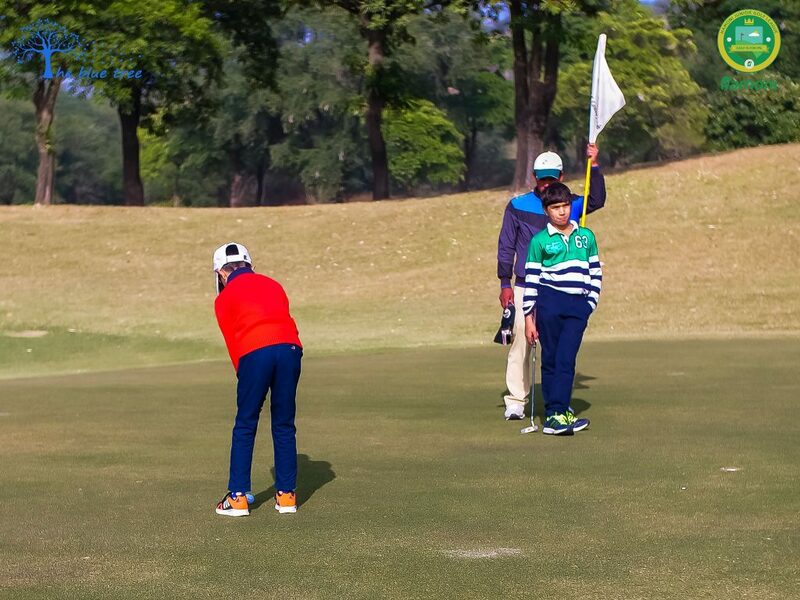 Juniors P&P Tournament Vol II was held on the 22nd of February 18, 3:30 pm onwards at our home ground – Hamoni Golf Camp. 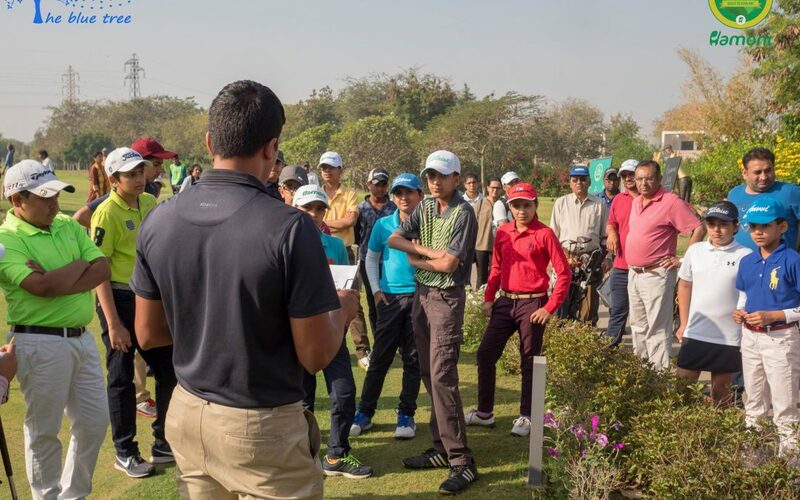 On the 25th of Nov, 2017 (Saturday) at Golden Greens Golf Club, Manesar, Hamoni Junior Golf League (HJGL) kicked off the second leg of Junior Master Series (JMS). 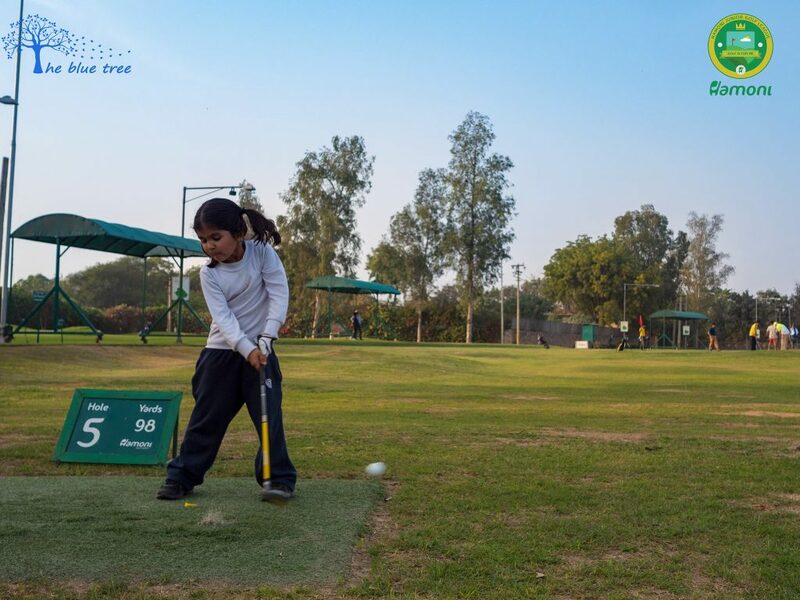 The JMS – Second Leg was also well received amongst the junior golfers and witnessed as many participants from across various other golf clubs of NCR as the first leg. 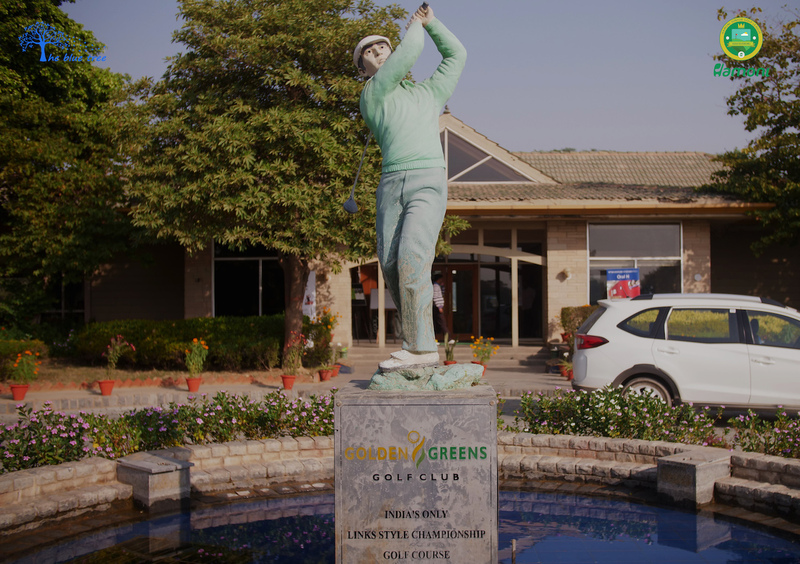 The terrain of the course was designed in links-style golf course so that added to the toughness level of the tournament which in some way resulted into astonishing overall scores and it was the first time for many to play on the particular terrain type. 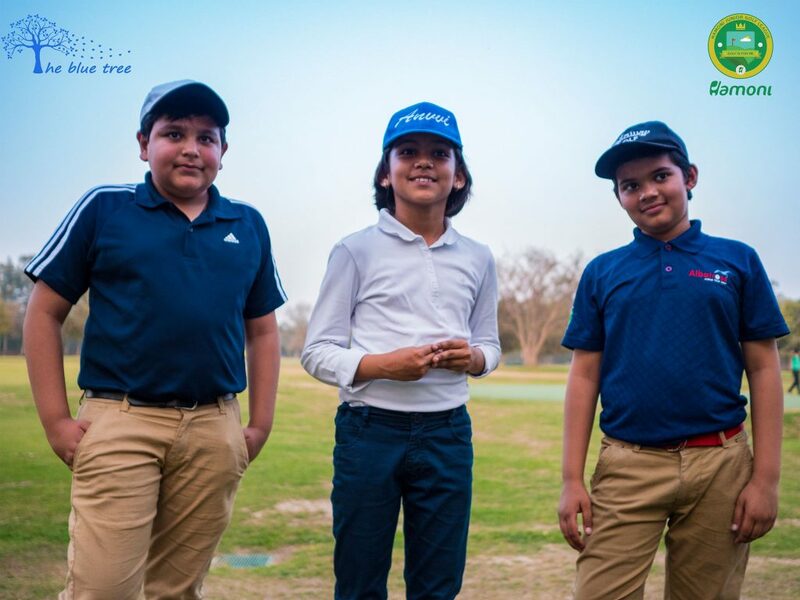 Also, interestingly there was not one but two tiebreaker – Chip & Putt tiebreakers for Boys between Jayant Vinaik & Anish Nangia of Category I and Taanvir Sood & Anhad Grewal of Category II. 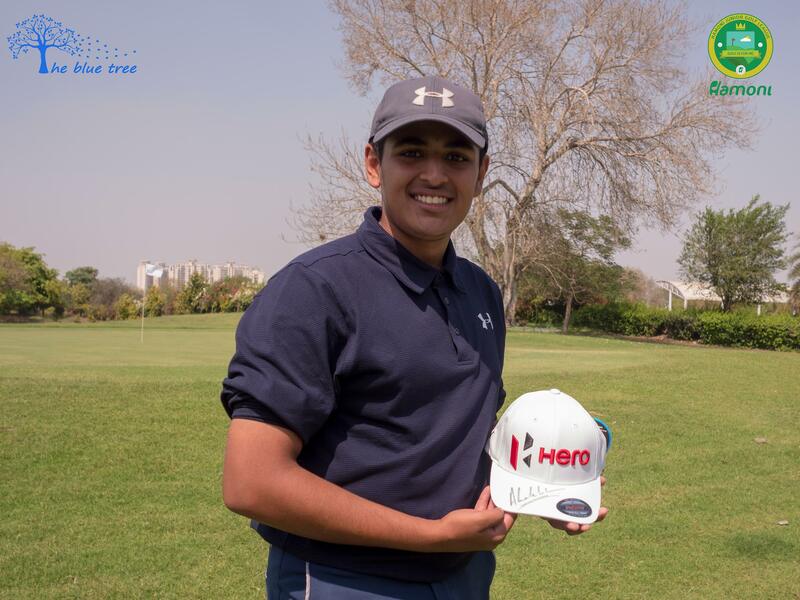 The final leg of the Junior Master Series date will be shared soon and team Hamoni looks forward to hosting yet another great tournament and many other tournaments for junior golfers. 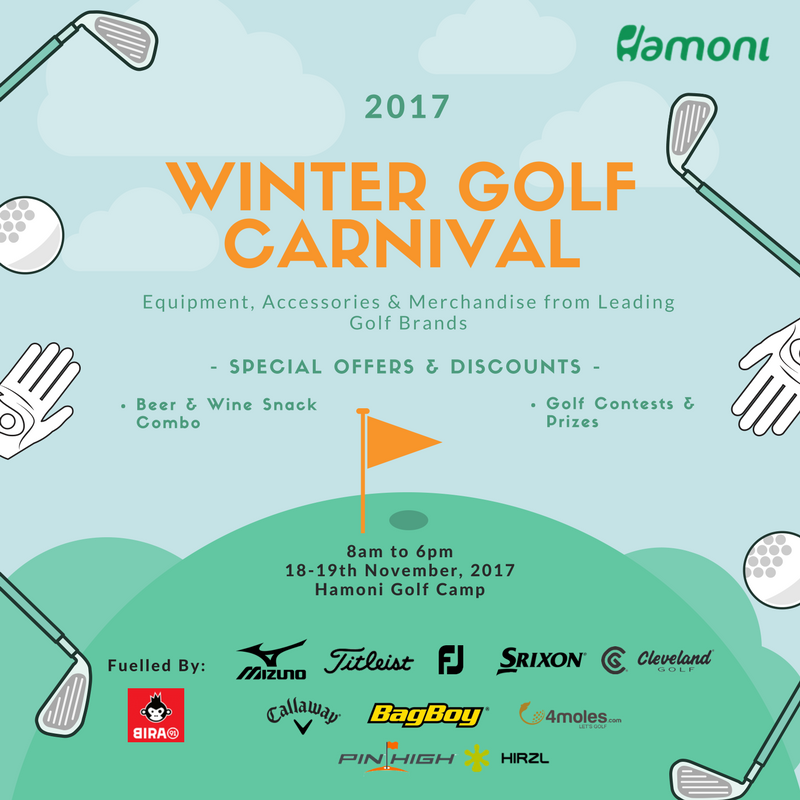 Mark your calendars for our Winter Golf Carnival, the largest gathering of leading golf brands at Hamoni Golf Camp – 18 & 19th Nov 17′ (Sat & Sun), 8am to 6pm! 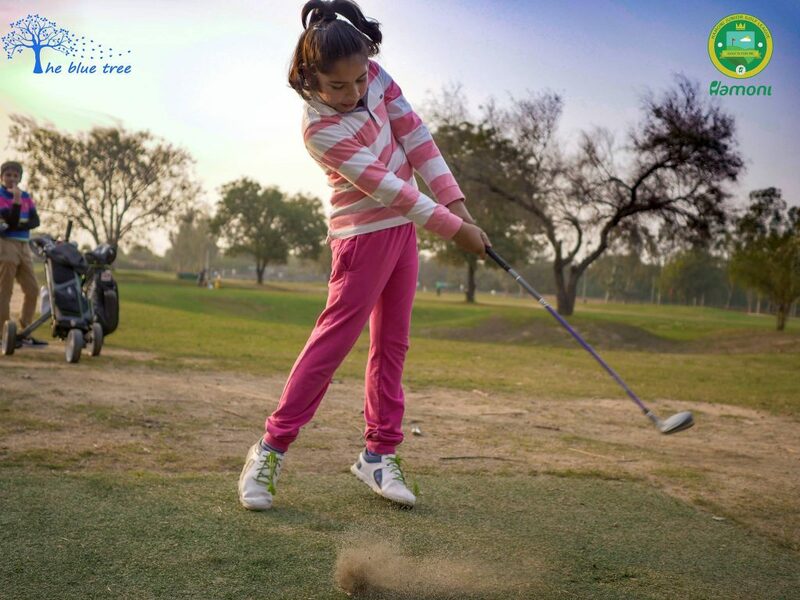 After a successful Spring edition earlier this year which brought various golf brands together, our Golf Carnival is BACK with its Winter edition! 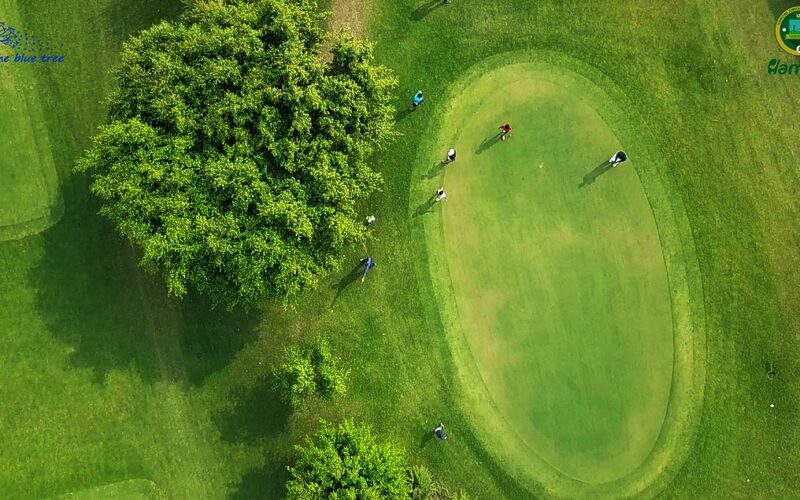 Leading golf brands will be participating and showcasing golf clubs/ equipment, accessories and more, with SPECIAL OFFERS & DISCOUNTS! 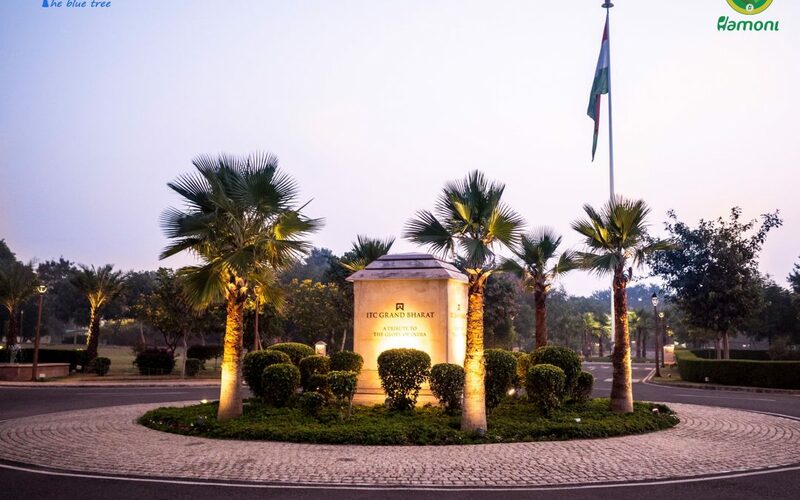 And while you’re at it, soak in the ambiance with beer & wine/ snacks combos and ala carte dining at our in-house cafe, Caddyshack! 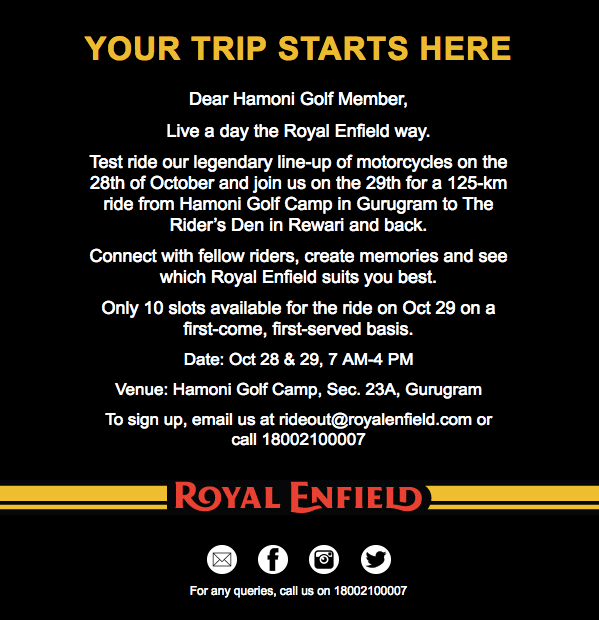 From the concept of our monthly Driving Range Contest, Hamoni Ace Ranger, HGC presents Hamoni Course Ranger, as we take our monthly HGC contest/ battle to the golf course! 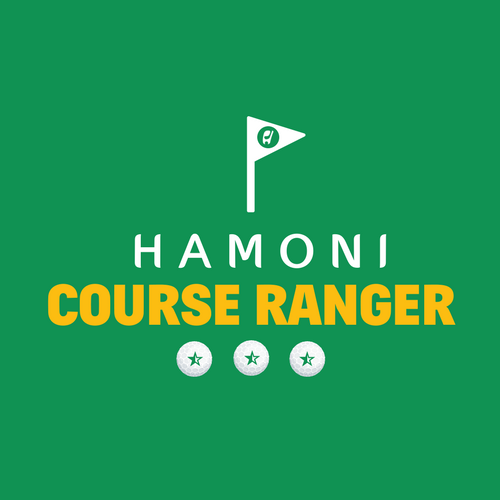 HAMONI COURSE RANGER is our new monthly golf tournament format, pitting our HGC Members against each other as they play for the title each month, across different venues/ golf courses! 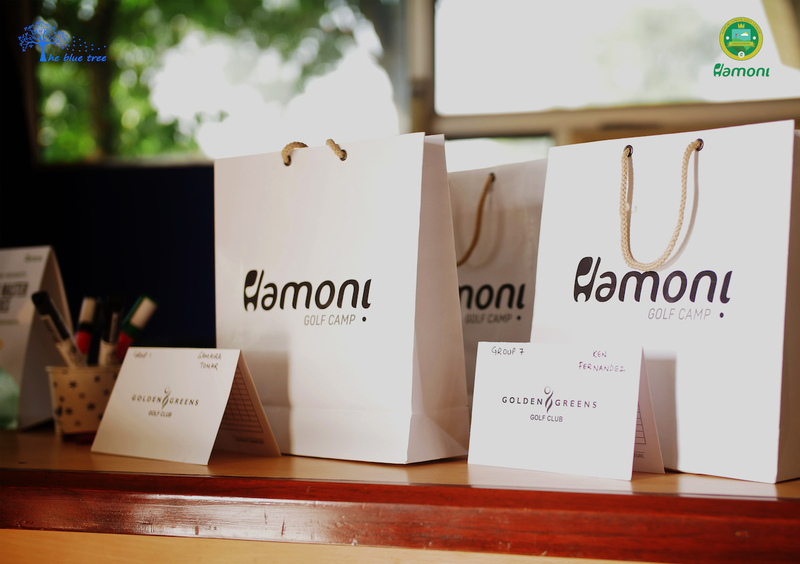 The inaugural October edition will be played at Hamoni Golf Camp, as a 9 Hole Pitch & Putt Tournament, with the contest moving to other golf courses in the subsequent months! 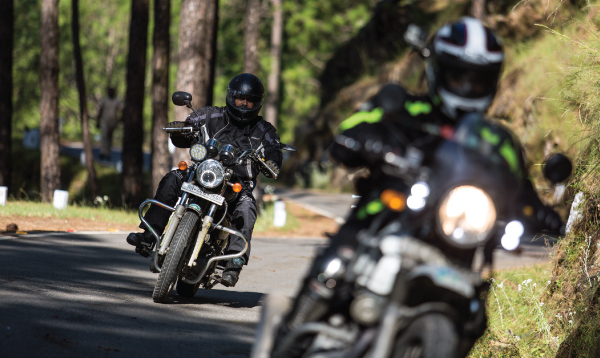 Rules, categories, prizes etc., shall gradually be diversified, making the title fight more compelling with every edition! See below details for our inaugural October edition. 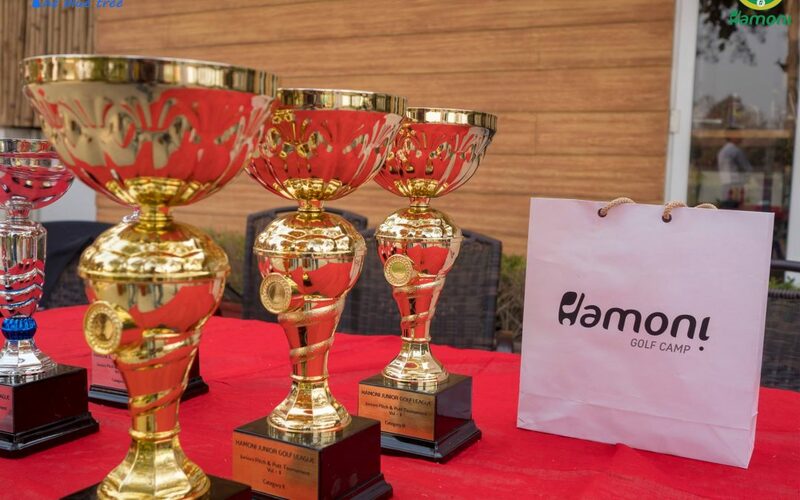 The tournament is open to any HGC registered Member/ Cardholder of age 18 and above. 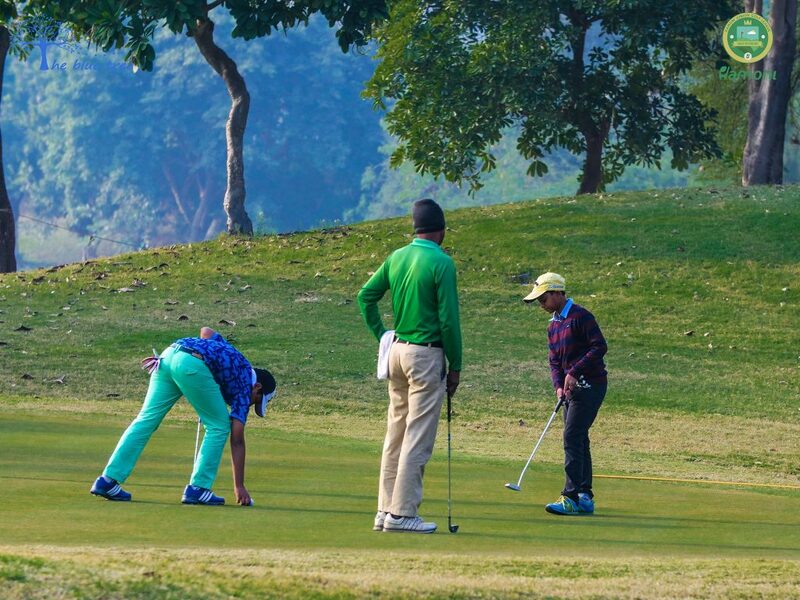 The tournament will be played on Stroke Play format, maximum score to be recorded on the scorecard is 7. 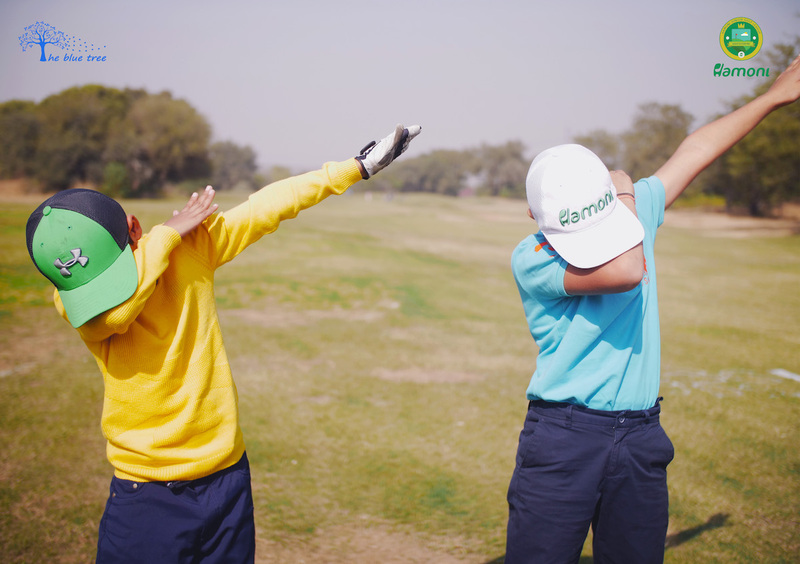 Minimum age of Players must be 18, as on tournament date, to be eligible for participation; professional golfers are not eligible for participation. Only 1 Representative may accompany each Player. 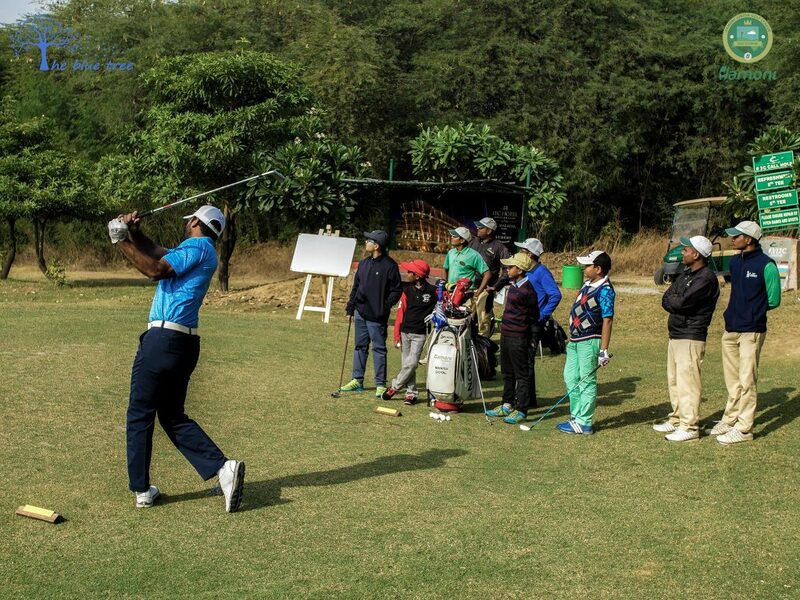 No Caddies from HGC shall be provided; players may arrange their own Caddies. 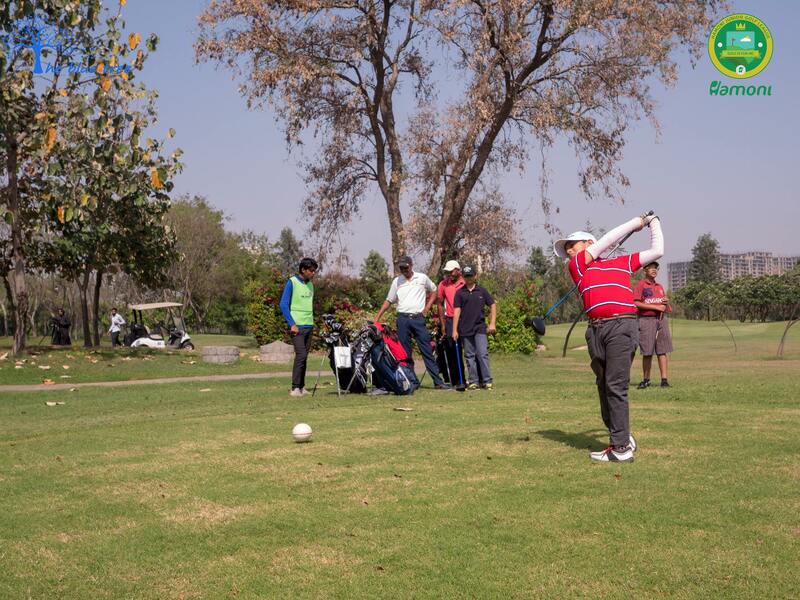 No handicap shall be applicable, all scores will be considered on actual scoring; lowest score will be considered the winner. 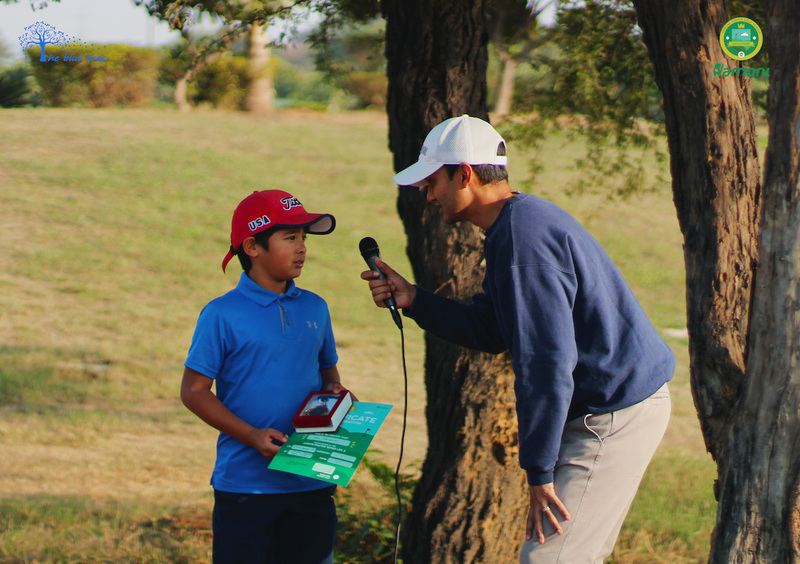 In case of tied scores, the winner will be declared based on scorecard back calculation. 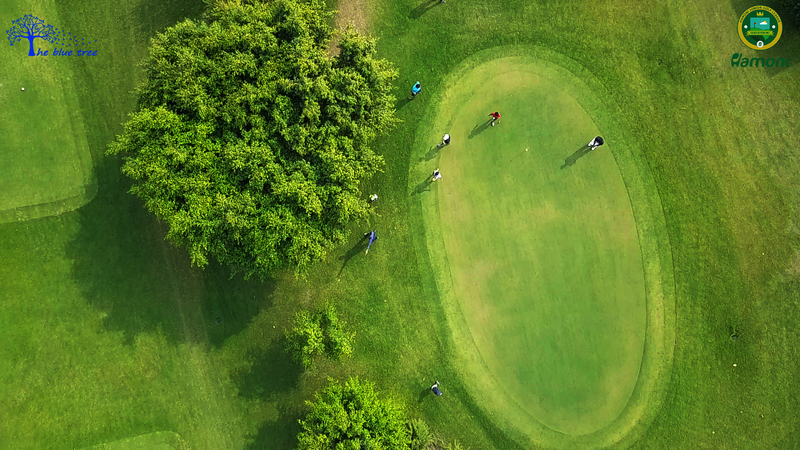 Players must report to the starting tee 15 mins before their scheduled tee off time, failing to do so may lead to disqualification. 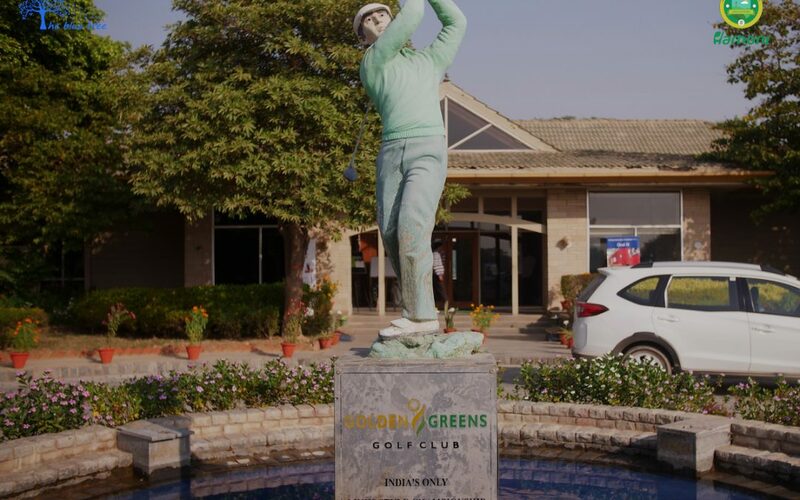 No refund shall be applicable after payment of Registration Fees under any circumstances, in case of non-play due to bad weather or other reasons, HGC Management shall decide the future course of action.